What if we told you could achieve facial rejuvenation, without any surgery or excessive downtime? 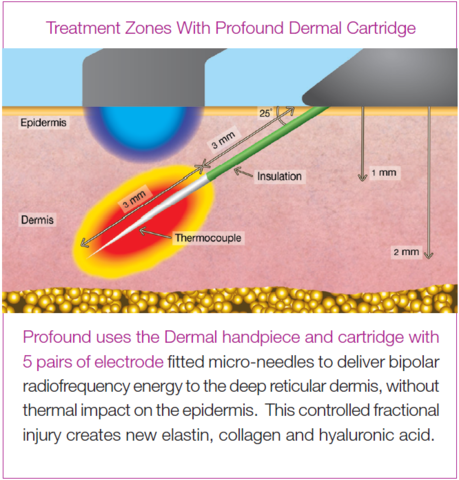 With Syneron Candela’s advanced Profound device Dr. Brace now offers patients an advanced micro-needling treatment—without the need for surgery. Lift: Drooping areas of the face are lifted, such as the brow, cheek, eyes, jowls and neck. Contour: Sagging or loose skin along the chin and jawline is tightened to create a more contoured appearance. Smooth: Plumps the skin from the inside out to correct an uneven skin tone. Regenerates skin’s natural collagen, elastin and hyaluronic acid production in just one treatment. Wrinkles and fine lines are significantly reduced. 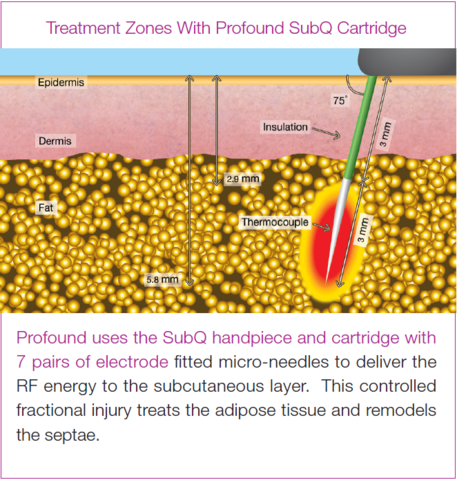 Profound works through the use of two types of energy: temperature controlled radio-frequency (RF) and fractional RF. Each accomplishes the same task—stimulating neocollagenesis (collagen), neo-elastogenesis (elastin) and hyaluronic acid—but in different dermal layers. With temperature controlled RF, five pairs of electrode fitted micro-needles deliver the energy into the skin’s dermal layer. This creates a controlled fractional injury that stimulates new collagen, elastin and hyaluronic acid, without disrupting the epidermis (surface layer). What Results Can I Expect From A Non-Surgical Facelift? As the weeks go by, the skin will start to appear noticeably more contoured, firm, smooth and lifted. Overall complexion appears more youthful as if ageing backwards. These results are gradual, as the treated skin needs time to ride to the surface level. In as little as four weeks post-treatment, visible results will start to show. Profound’s maximum effects are seen after six to nine months. Is There Any Downtime With A Non-Surgical Facelift? About three to seven days of downtime should be expected after a Profound treatment. The skin will not need excessive bandages or wraps, as it would with traditional plastic surgery. However, the treated areas will be swollen, red and slightly bruised. Rest, hydration and proper skin hygiene are essential for a healthy recovery. Dr. Brace will detail an effective aftercare regimen following treatment. How Many Sessions Will I Need To Get Non-Surgical Facelift Results? Only one session is required to obtain full results. Until at least nine to 12 months have passed, a second treatment is not recommended. In a clinical study, Profound was shown to have a 100 percent response rate for improvement in wrinkles, and a 95 percent response rate for improvement in skin laxity. 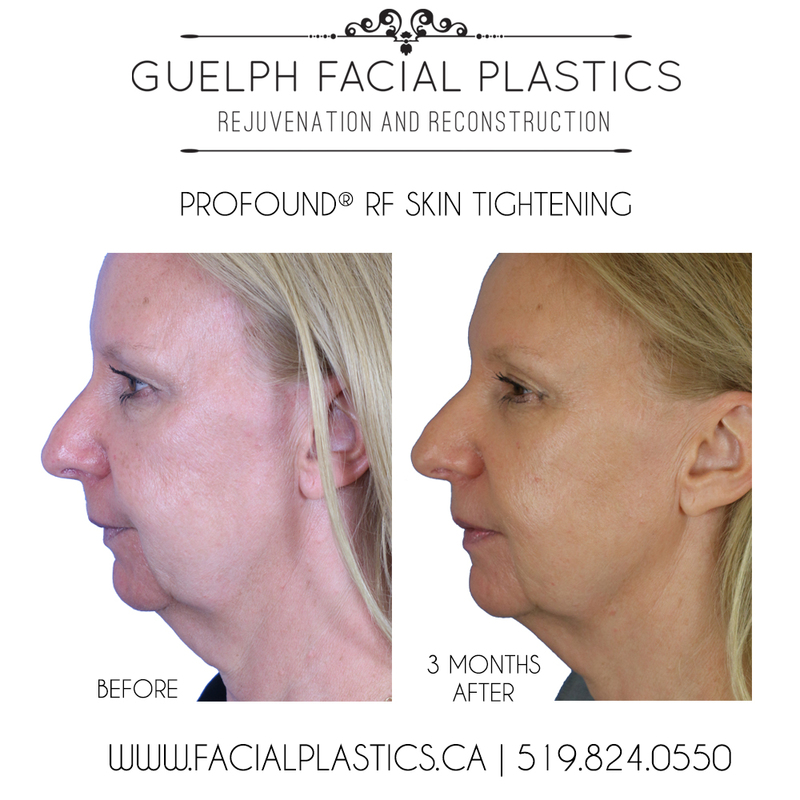 No other non-surgical facelift tool can provide such complete results in just one treatment! If you’re not ready for facelift surgery, Profound could be your answer. To learn more, book a free consultation with Dr. Brace today.